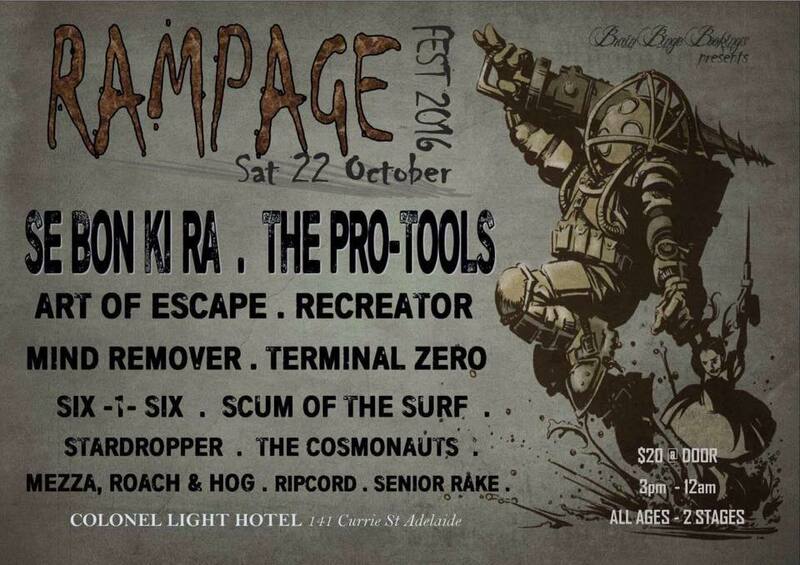 RAMPAGE FEST 2016 is a Rock/Punk/Metal event dedicated at bringing new and established bands together for an ALL AGES – 13 bands, 9 hours, 2 stage assault on Sat 22 October at the Colonel Light Hotel Adelaide. Doors open 3pm till 12 am. $20 entry at the door. Colonel Light Hotel 141 Currie St Adelaide.